Ever wonder how we’re able to put all of these stylish shoots together for our glossy pages in Utah Valley Bride? With the best of the best, of course! And Utah is dripping with dazzling, dearly beloved talent. Meet our fabulous contributors for our 2015 issue and order your copy here! 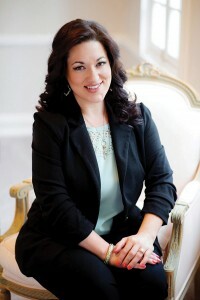 Michelle Cousins, owner and lead designer of Michelle Leo Events, specializes in providing clients with fresh, unique and creative designs all while ensuring their event encompasses everything that makes them personal and unique. 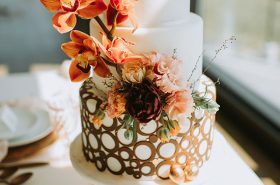 Michelle’s design and planning abilities have earned her prestigious awards including Utah’s Best of State Event Planner and Wedding Services Provider for four consecutive years, as well as the Z Gallery’s Designer of the Year award. Most recently, she was selected by Martha Stewart Weddings as one of their top wedding planners for 2014. 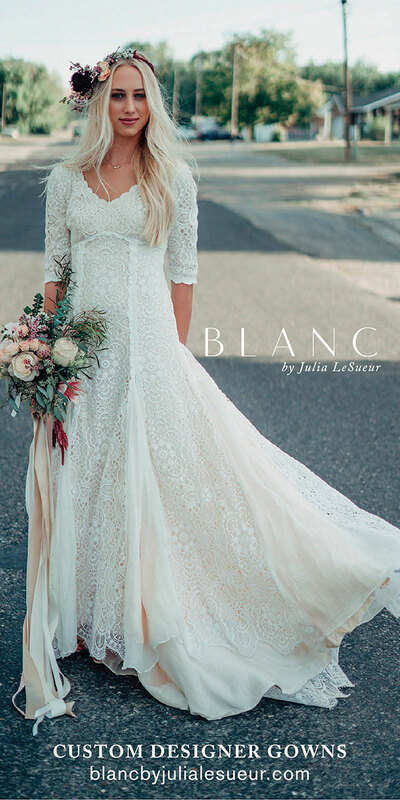 Check out her divine designs in our Plum Romantic feature on page 46. 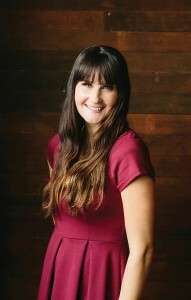 Kristina Curtis, owner of Kristina Curtis Photography, is based in Utah but also loves to travel for destination weddings. 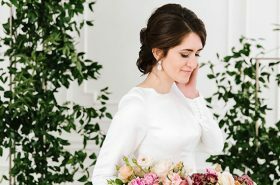 Since 2009, she has concentrated on creating a beautiful story for each of her clients with a compilation of soft, clean, timeless and honest photographs that speak to the heart. When she’s not photographing adorable couples, she is at home with her husband and two handsome boys. Devour her images for our Bright + Bold Brunch on page 66. 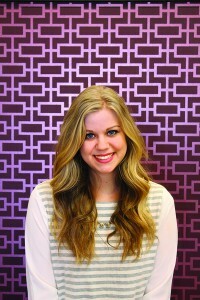 Ashley Lloyd is the creator and designer behind Attention 2 Detail Events. When she’s not testing out a new cupcake recipe, walking her three pugs with her husband, or eating bacon cheeseburgers (her favorite! 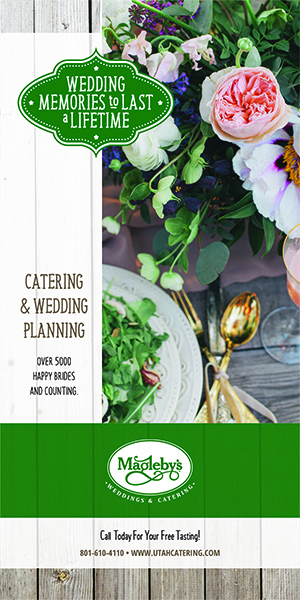 ), she’s planning stunning weddings and events. Known for her flair of creativity, she loves to bring her clients’ visions to their full potential, giving them a punch of personality and producing exceptional results. 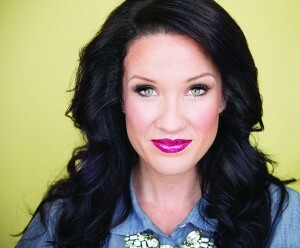 Check out her delicious stylings at our Bright + Bold Brunch on page 66. Jessie Evans, owner of Jessie Alexis Photography, has been capturing sweet moments and creating images for people in love for more than six years. For her, photography is about giving you those authentic moments to cherish, to share, and to remember for always. She is a wife and mother who has a fondness for pink, cotton candy and cuddling with her husband and babies. Relish in her photography for our Plum Romantic feature on page 46. Ashley Murphy loves everything wedding. 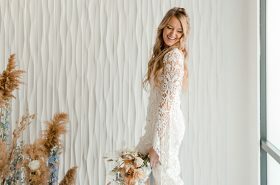 But as the assistant manager and buyer for Orem’s Avenía Bridal, gowns are her passion. 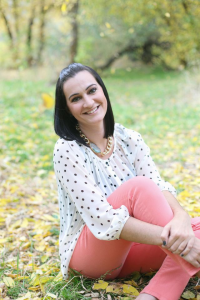 For the past six years, Ashley has adored helping brides find their soulmate seams. She also loves visiting New york each season to choose new sample gowns for the store at New York Bridal Fashion Week. 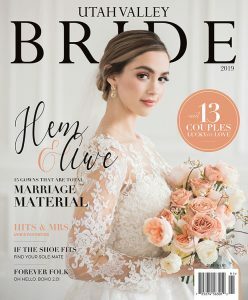 Ashley assisted with Avenía’s gowns on three of our features — Into the Woods (page 53), Plum Romantic (page 46) and Bright + Bold Brunch (page 66). Here she is! 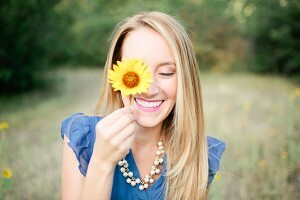 McKenzie Deakins — an award-winning wedding photographer extraordinaire. Featured in Martha Stewart Weddings. Presenter at the Pinners conference and The Bright Night Event. Regularly seen on KUTV Fresh Living. Teaching photo classes like a rockstar. Mom to two cute kids. Married to a talented studio photographer. Fresh perspective with a side of awesome. Check out McKenzie’s artful awesomeness in our Into the Woods shoot at Sundance Resort on page 53.